Start them young, and watch them excel early on. In our Tiny Tiger program, our team is focused on supporting the students in their social, emotional and physical development. At this age, gaining an understanding of respect and discipline is crucial. When the students understand these virtues, they can excel in school, at home, and in the community. This program focuses on the basic principles of taekwondo and gives more time for the details. All of this is taught in a friendly and uplifting environment that motivates the students to try their best. Live life the black belt way. In our Kids Taekwondo program, our team focuses on developing the students’ confidence and supporting them to reach their full potential. 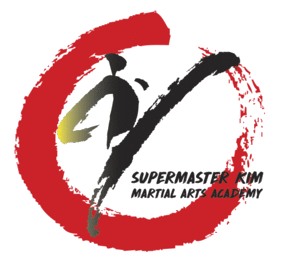 This program focuses on the three main aspects of Taekwondo: forms, sparring, and board breaking. The students support each other in overcoming challenges in order to set and achieve new goals. These days, teens and adults get so caught up in the daily-grind. We often sacrifice our own health in hopes to gain something we think has value. Our teens and adults program focuses on leading a healthy and active lifestyle. Come get a total body workout. The happier and healthier you will wish you had started sooner. A strong mind makes a strong body. Our Kids Judo program teaches the fundamentals of judo following the traditional Japanese style. Judo teaches the kids how to defend themselves when someone has grabbed them. Judo was founded on the concept of weak vs strong and teaches how a weaker person can defend him/herself against someone larger and/or stronger. Students learn how to fall without injury and rolling, throwing, and ground grappling techniques. Before any of this, however, students learn the virtues needed to make all of this possible. Work toward a better version of yourself. The Adult Judo program promotes a healthy life style and provides a full body workout. Judo was created based on the concept of weak vs strong. This martial art teaches how to use another’s strength against him/her and is an effective way of self defense for all ages and body types.